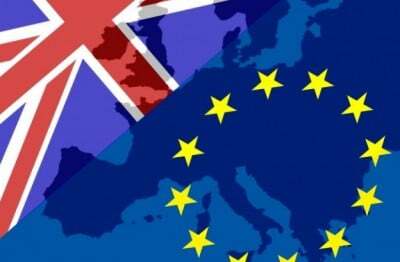 While the Brexit debate has become a matter of colliding blocs of speculators and crystal ball gazers, a glaring aspect has come to the fore. Virtually nothing has been said about the role played by human rights, Britain’s role in building it up and inspiration in the European Convention of Human Rights, or the issue about citizenship. In that sense, Brexit mirrors broader European failures: the excision of the human experience from broader managerial and corporate arguments. In its stead is a reflection about what the price of camembert cheese might be in a post-Brexit regime, or wine for that matter. This is middle class snobbery run wild, a fear borne from comfort rather than crisis. The crude economic arguments speak, in many ways, to European problems, rather than strengths. The broader human issues are neglected before those of the purse and assets, bank balances and trade. This has made the Remain Campaign vulnerable in its sterility. To emphasise this very point, currency transfer sites are limiting if not suspending operations. Transferwise, to make its point, is suspending its service during the course of the Brexit vote. Not to matter, argues the Leave campaign front man and former London Mayor, Boris Johnson. Britain, he argues, would be able to “prosper mightily” outside the zone. He gives no examples how, and avoids the bolstering effect Europe has had for Britain’s economy. But even more seriously, he avoids the humane aspect of the European regime, and the modifying effects of the convention on British jurisprudence. In of itself, the argument about accountability and self-reliance is a statement that resounds across Europe. Never mind that much of it is, as expressed by the Leave campaign, a simple argument to simply do what one damn well pleases, be it paying lower wages or reducing better work conditions in the name of profit. There are countries (France, the Netherlands) where the EU fares even worse by reputation than it does in Britain, and there, the issue of “accountability” and “self-reliance” also feature. But Johnson’s statements resemble those of autarchic ambition. The crudest arguments of all have come from parts of the Leave Campaign, haloed by a less than holy crown of terrifying promises should Britain actually retain its current arrangements. To not leave now, while things are moderately bad, will lead to something infinitely worse. Nigel Farage of the UK Independence Party has been so vehement in this campaign he has become a caricature. With characteristic indifference to the facts, Farage was happy to be photographed before a poster titled in bold capital letters “Breaking Point”. Few would argue that the “EU has failed us all”; more would disagree with the idea of using a stream of Syrian refugees to demonstrate the point. Maps have been produced by the thousands promising a surge of immigrants from countries wishing to be admitted to the EU. In a spike of xenophobia, and selective thinking, Britain has become the exemplar of fractured Europe. Those of the left who should have been guarding the sacred flame of Europe’s benefits have been conspicuously absent in that regard. The champagne set have stolen the argument over the working individual who can actually thank the EU for working standards and security. The absurd premise of pure British indigenousness and exceptionalism demands a good deal of scoffing rebuke. But when it comes out of the mouth of Johnson, it sounds different, striking an idealistically mellow note. He offers a vision without substance, while the Remain campaign have offered what they think is substance without vision. As Britons go to the polls, the difference will be those undecided ones whose minds will be made up as the mark is made on the ballot paper.